Q5. How do seasonal changes in the river dolphins' habitat affect their behavior? 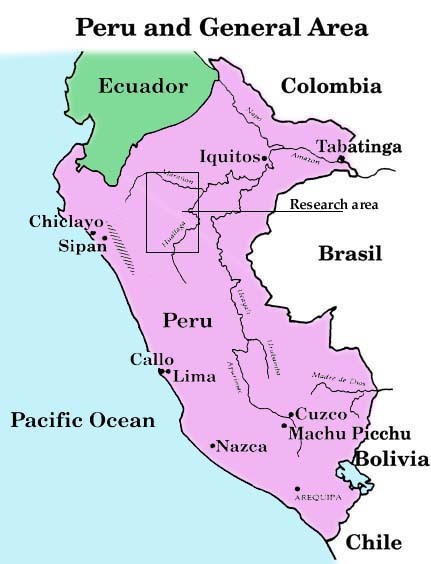 The *ecology of the Amazon rainforest is greatly affected by changes in rainfall. There are times when the forest floor is completely covered by water. Fish and other *aquatic species take advantage of this opportunity to find food and shelter. Other times of the year, the forest floor is dry, allowing new plants to grow, providing food and shelter for altogether different animal species. We will be attempting to understand how the these seasonal changes affect the dolphins. During flood season, river dolphins can be found in areas that are part of the forest floor during the dry season. 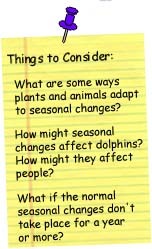 How does answering the question, "How do seasonal changes in the dolphins' habitat affect their behavior?" help us create a conservation plan that protects the dolphins and benefits the local people?